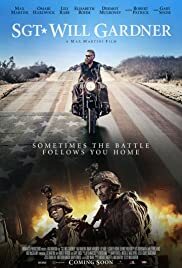 Director: Max MartiniWriters: Max MartiniStars: Max Martini, Omari Hardwick, Lily RabeSummary: Will Gardner tells the story about Iraq War veteran Will Gardner (Max Martini) who is suffering from a traumatic brain injury (TBI) he sustained during a bombing that he and his platoon suffered while in combat. His injuries make it difficult for him to reintegrate into society so after a series of setbacks, he goes on a spirited motorcycle journey across America to pick up pieces of his life lost since combat. Martini (13 Hours, Captain Phillips) also penned the script and directs the film.